An argument between Germany and Turkey about ancient treasures is escalating. Turkey wants its treasures back, but German archaeologists say Turkish sites are being exploited for tourism. Archaeology often has a lot to do with politics – the current argument between Germany and Turkey is a prime example. 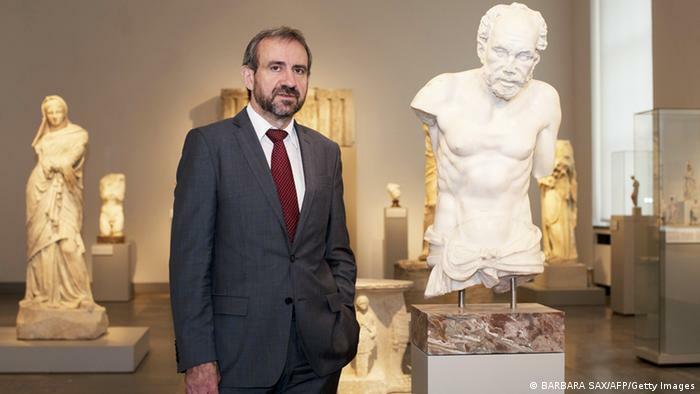 Hermann Parzinger, head of the Prussian Cultural Heritage Foundation, last December accused Turkey of displaying “almost chauvinistic behavior.” In reply, the Turkish culture minister Ömer Celik told German news magazine “Der Spiegel” that he demanded an apology, and he asked for five ancient objects to be returned that are currently shown in museums in Berlin. He claims they were taken out of Turkey illegally. Parzinger rejects any accusations of illegality for three of these objects: In December 2012, he said that the torso of the Fisherman of Aphrodisias, the sarcophagus from the Haci Ibrahim Veli tomb and a 13th-century prayer niche were all acquired legally. But “legal” is a fluid concept in the world of archaeology. The export of ancient treasures from the Ottoman Empire has been prohibited by law since 1884. 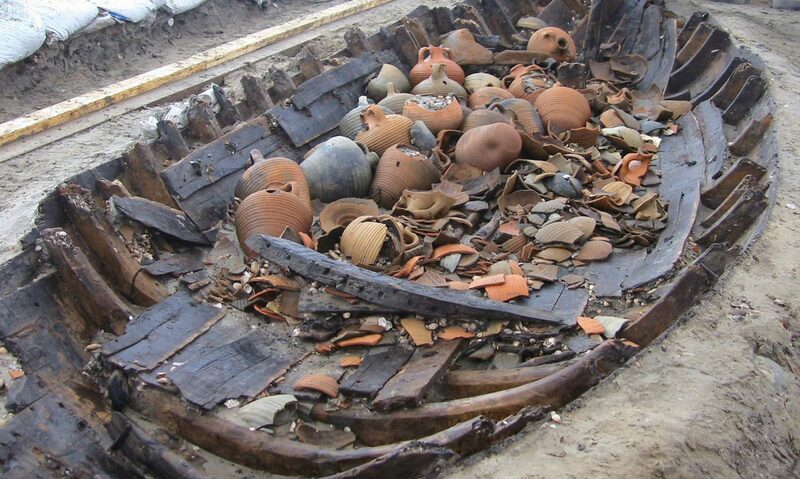 At the same time though, it wasn’t unusual to share the treasures discovered in excavations with teams from abroad. Special permission was often given to take objects out of the country, and there was a flourishing black market. The issue is often less a matter of legality than of morality. In this context, the tone that Turkey has recently used in its quest to get ancient treasures back from museums like the Metropolitan in New York and the British Museum in London is surprising. The Turkish culture minister’s announcement that he’s only asking for objects “that are rightfully ours” is a sign of Turkey’s new-found – some might say, excessive – self-confidence. Other countries have already felt the effects: two French excavation sites have been recently shut down. In 2011, then Culture Minister Ertugrul Günay reclaimed the more than 3,000-year-old Sphinx of Hattusa, which had been shown in a Berlin museum since World War I. If the Sphinx were not returned, said the minister, the German Archaeological Institute would lose its excavation permits in Turkey. The Sphinx was indeed returned, but without recognition of any legal claim: it was a goodwill gesture, according to Parzinger. In return, he was hoping for substantial loans from Turkey for a big Pergamon exhibition in Berlin last year. But the loans never arrived. The agreement on more intensive cooperation between the two countries’ museums and archaeologists which was signed at the time seems to have been merely for show. Parzinger has complained publicly that Turkey hasn’t kept a single promise. He says there have only been more demands for the return of objects, as well as accusations that German archaeologists left “devastated landscapes” at excavation sites. According to Ernst Pernicka, long-time head of excavation in Troy, there is no truth in that. He believes Turkey is using archaeologists as hostages to get the objects back that they want. Last year, Pernicka says, he and other top archaeologists were asked by the Turkish authorities to go to German museums to call for the return of a number of ancient objects. Turkish authorities deny this. Another problem Pernicka sees is that Turkey is keen to conserve the sites and use them for tourism rather than for ongoing research. The government wants “archaeology in action.” But that often gets in the way of research, says Pernicka. The Turkish historian Edhem Eldem is also unhappy about the expectation that foreign archaeologists are expected to ensure that their sites are suitable for tourists. He puts it down to “growing nationalism” and the victory of economic interests. “The fact that archaeology is part of the Ministry of Culture and Tourism shows how ambivalent the situation is,” says Eldem. He also laments the government’s double standards. If it makes economic sense, the authorities have no problem sacrificing important sites like Allianoi or Hasankeyf, which are on a level with Pompeii, for a dam project. Allianoi, an ancient city close to Pergamum, has already been flooded. And despite international protest, the same fate awaits Hasankeyf. “International archaeology can only flourish in an atmosphere of mutual respect,” says Felix Pirson, head of the German Archaeological Institute in Istanbul. He doesn’t approve of the harsh tone that has dominated the German-Turkish debate recently. He sees the excavations in Anatolia, where “decisive developments in the history of man were continued, enriched and accelerated,” as an international task. Today, there are many teams already working under German leadership but with international membership. It’s not just German archaeologists who believe that dealing with World Cultural Heritage sites should be a common task not restricted by national borders. They also agree that questions need to be asked about the origin of ancient treasures which are taken out of their country. But it is clear that political confrontation and rigid demands don’t help anybody, including Turkey. The habit of reclaiming archaeological finds could come back to haunt Istanbul if Lebanon decides to ask for the return of the famous sarcophagus of Alexander. It was taken to Istanbul’s Archaeological Museum in 1887, during the time of the Ottoman Empire.